"My interest, in both my work of clay and paper, is in layering. They are palimpsest, layers that reveal and conceal. Processes of painting, marking, covering over and scratching through are repeated. They are explorations of time, of finding fragments, of loss and retrieval. 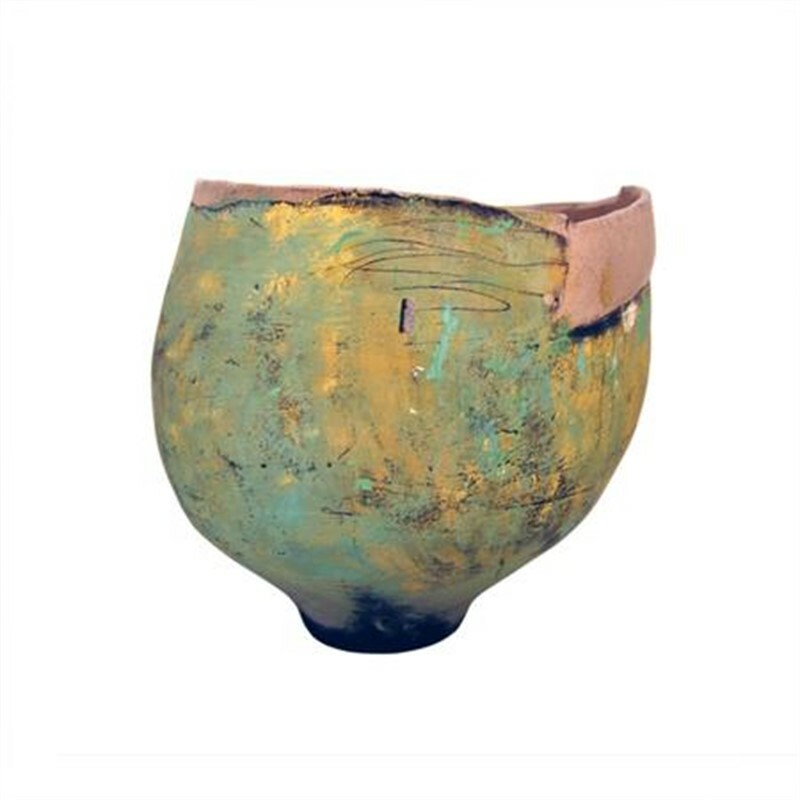 Vessels, reminiscent of Neolithic ceramics, are constructed by coiling, the oldest method of clay construction. They are then fired several times, ending in a raku firing, where they are removed from the kiln at 1850 degrees and placed in a reduction chamber to smoke the surface and crackly the glaze. Afterwards, the multiple layers of slip, paint, pencil markings and collage are worked and reworked."